An Al Clasico for the ages, well from victors Al Jazira’s point of view it certainly was. The ravenous hosts ripped Al Ain apart in a dominant performance that begged the question – how have they become so far removed from the Arabian Gulf League title picture in recent weeks? 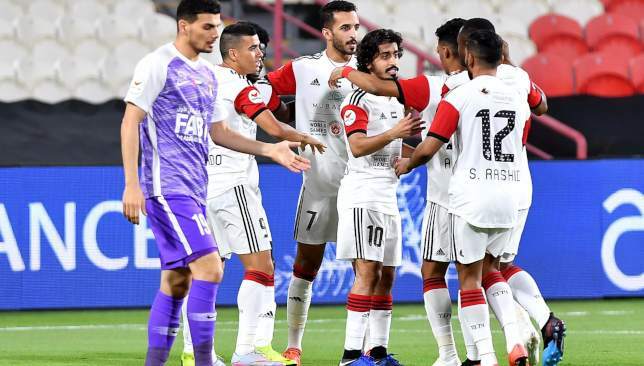 The Pride of Abu Dhabi prevailed in the biggest game in UAE club football, and it was a victory that never looked in doubt once they roared into the lead after just three minutes. Khalfan Mubarak sliced apart the Boss at the back, his defence-splitting ball reaching Ali Mabkhout. The UAE marvel composed himself before teeing up the onrushing Ernest Asante, who checked his run before firing low beyond Khalid Essa. It was 2-0 after 28 minutes when Mabkhout – who had minutes earlier wasted a glorious opportunity – converted a far more difficult chance after being teed up by Mubarak. Even when he hobbled off with a pulled hamstring, Jazira continued their dominance, replacement Nacer Barazite curling high beyond Essa after more good movement from Mabkhout. Ismail Ahmed’s thumping free header from a corner gave the Boss a glimmer of hope before the break, but three minutes into the second half, the hosts’ three-goal advantage was restored when Asante reached another laser beam throughball from Sebastien Siani, neatly nutmegging Mohanad Salem before firing past Essa. Mabkhout rounded off the scoring when Barazite returned the favour from him to sweep home his second. 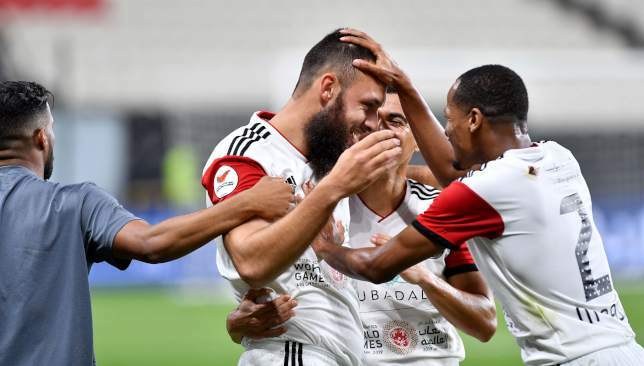 Such is the esteem Ali Mabkhout is held in by Jazira fans and those who generally watch UAE club and international football – the prolific striker is considered in a slump when he’s scored ONLY three goals in last six games. But after the Pride of Abu Dhabi’s title hopes effectively disappeared following defeat to Sharjah on Friday, the striker, who went scoreless, came in for criticism. He answered those critics in sumptuous style with a man-of-the match performance here – bagging two goals and also creating two. Mabkhout was instrumental in the opener, an intelligent run attracted Mubarak’s attention and he released his UAE colleague. He held it up carefully and teed up Asante to fire in. The dissenting voices might have grown louder when he missed a guilt-edged chance to make it 2-0, racing onto another sublime throughball from Abdalla Ramadan. He skewed his shot horribly wide when a player of his ilk and deadly finishing ability would gobble up that chance normally. Minutes later though he stylishly doubled Jazira’s lead and in far more difficult fashion. Mubarak was again the architect – his laser beam vision spotted the run of Mabkhout who although got a slice of fortune when the ball ricocheted between the legs of Ismail Ahmed, was clinical as he dummied Mohanad Salem before opening up and curling high beyond Khalid Essa. He then teed up Barazite for a third goal but luckily VAR came to Al Ain’s rescue. As if seething because of that, the same duo combined minutes later to put Jazira 3-1 up. They cut through the Boss at will with Mabkhout slipping in Barazite who curled into motionless Essa’s bottom corner. As their dominance continued after the break, Mabkhout then rounded off an emphatic win when Barazite returned the favour for him to sweep in a fifth. His double took him level with Al Wahda’s Sebastian Tagliabue atop the AGL’s leading scorers chart. Some slump he’s enduring. 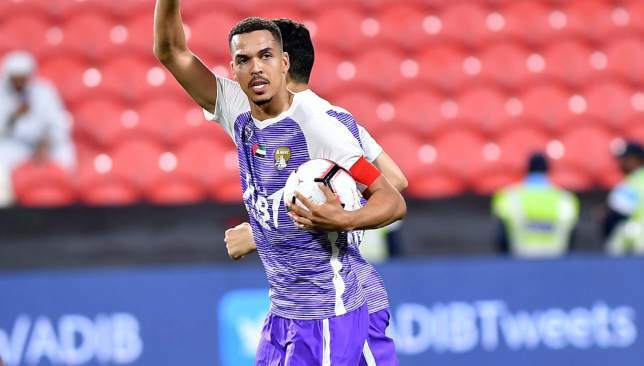 One of the most one-sided ‘Al Clasicos’ in Arabian Gulf League history was bookmarked by a rampaging performance from Jazira’s rising young stars as Al Ain’s established elite continued to display worrying signs of decline. Veteran Sweden striker Marcus Berg – who appeared at both Euro 2016 and last summer’s World Cup in Russia – must have been licking his lips when he read the names on the Jazira teamsheet and saw a back four containing 21-year-old Mohammed Al Attas and 20-year-old Khalifa Al Hammadi in central defence. The 6ft powerhouse might have been anticipating a field day in front of goal, but in truth the lack of cohesiveness behind him led to him being isolated all match and starved of service as the speed and energy in Jazira’s pressing and overall game left Al Ain’s midfield constantly chasing shadows and their creaking defence splitting wide open at the seams. 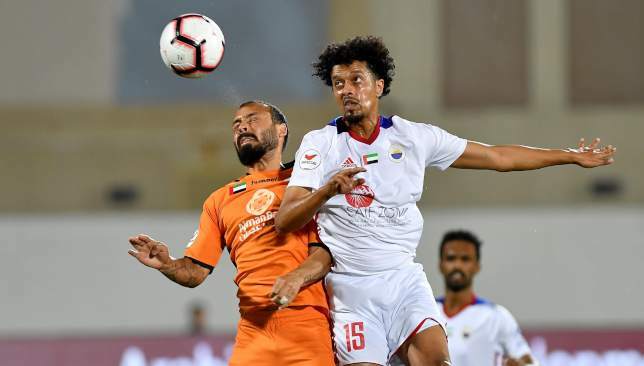 While youthful exuberance in Jazira’s defence should ordinarily have led to the Boss enjoying superiority, it was the worryingly rapid decline of Al Ain stalwarts Ismail Ahmed and Mohanad Salem that should cause the most consternation. The celebrated duo that have been an iconic fixture of the UAE senior team for the best part of the last decade have shown plenty of signs of decline in the last 12 months or so. But whereas they have come back to defy their critics on more than one occasion – Ahmed’s goal threatened to do so once again – the ease at which they were opened up time and time again by Jazira’s relentless and ruthless forays forward should set alarm bells ring around the Hazza bin Zayed Stadium. Ahmed is 35, Salem 34. Bandar Al Ahbabi, at right-back, is 29, as is Mohammed Fayez. The central defensive duo – long considered rocks – are now ramshackle. It is time for new seeds to be sown in the Garden City. The championing of Al Jazira’s academy is no secret, they have long been one of the few UAE clubs to truly push their emerging stars into the limelight. It is a strategy that former coach Henk ten Cate relentlessly pursued – sometimes out of necessity due to crippling injuries, but mostly because he is a moulder of men and comes from a country that has always prided itself on its next generation. Under the Dutchman’s guidance Jazira brought through the likes of Mubarak – who now holds equal standing at club level with the iconic Mabkhout – Mohamed Jamal, Salem Al Eedi and Sultan Al Shamsi to name but a few. But whereas these players – Mubarak in-particular – are thriving, it is the next class that are being given their chance under compatriot Damien Hertog and appear to have shimmering futures. We all know about Al Attas from his performances at the 2017 FIFA Club World Cup. A player brought into the fold out of necessity by Ten Cate for his ability to fill myriad positions, he is now truly looking the part at both club and international level. 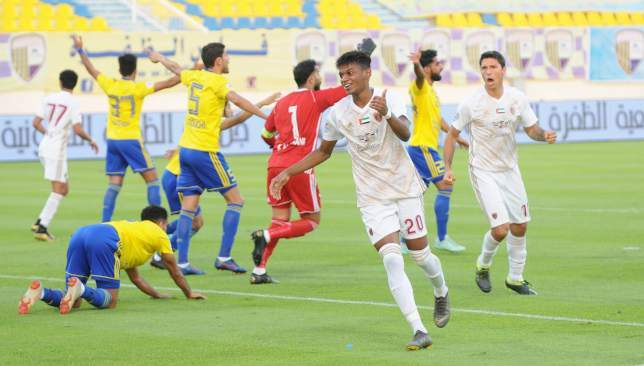 Al Attas and Ramadan are both 21, while 20-year-old Al Hammadi has been a revelation this season, with emerging striker Zayed Al Ameri, 22, also forcing his way through. Al Ain – champions of the AGL and in second place before this game – were mercilessly beaten at Mohammed bin Zayed Stadium with Al Attas and Al Hammadi anchoring the defence, restricting the impact of 69-times capped Sweden international Berg. They didn’t even flinch, while Ramadan is settling nicely into Jazira’s midfield. Ten Cate started things in motion and Jazira’s academy starlets are continuing to move forward.